Donald Lamar Ohms, Sr., 91, of Fremont, OH passed away on Friday, December 15, 2017 at the Rutherford House. He was born on November 12, 1926 in Ballville Twp, the son of Lester R. and Helen L. (Schacht) Ohms. Don served in the U.S. Army during WWII and was awarded the WWII Victory Medal and Army Occupation Medal (Germany). He married Ila Jean Woodruff on June 4, 1949 in Fremont and she survives. Don was a Truck Driver for many years and retired in 1976. He was a member of the American Legion Post #121 and VFW Post 2947. Don enjoyed traveling to Florida and spending time with his family. Don is survived by his wife of sixty-nine years, Ila Jean Ohms, Fremont, OH; children, Donald L. (Janet) Ohms, Jr., Fremont, OH and Mark A. (Veronica) Ohms, Malvern, AR; siblings, James (Bea) Ohms, David (Connie) Ohms, Evelyn Swinehart and Norma (Larry) Nesbitt, all of Fremont, OH, Arlene Jones, Fostoria, OH and Edith (Harold) Smith, Holland, OH; sister-in-law, Wilma Ohms both Fremont, OH; five grandchildren and ten great grandchildren. He was preceded in death by his parents; an infant son; brothers, Raymond, Robert, Kenneth Ohms and an infant brother and sister, Dorothy Ohms. Service: Tuesday, December 19, 2017; 11:00 a.m. at Wonderly Horvath Hanes Funeral Home and Crematory, 425 E. State St., Fremont, OH with an hour of visitation prior to the service. Burial: Greenlawn Memory Gardens, Clyde, OH with military honors provided by the V.F.W. and American Legion. 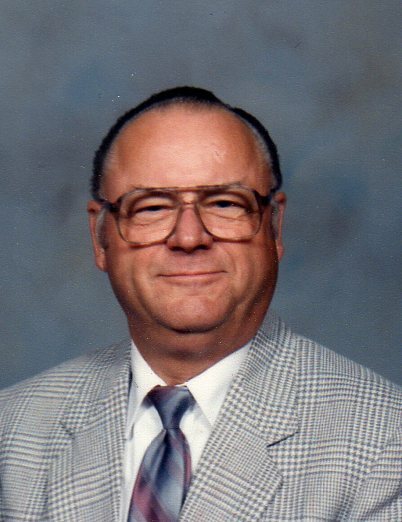 Offer Condolences for the family of Donald Lamar Ohms, Sr. Sorry for your loss, he will be greatly missed by many. My thoughts and prayers are with you. May God wrap His loving arms around you and comfort you today and always. We love you all! So sorry for your loss. Our prayers and thoughts are with you in your time of need. May God wrap his amrs around you and comfort you all. My heartfelt condolences to you all. My wonderful memories of Don are of joy and laughter. He always had a joke or something humerous to tell me. May you rest in heaven dear friend. I will truly miss you. So sorry to. Hear. About your dad our prayers are with you and your family at this time . So sorry for your loss!! You and your family are in our prayers!! I have such warm thoughts and memories of Don. His smile and laugh brought light to the room and people’s hearts. May the grace and peace and comfort of our Lord be extra close to the family. May God provide His Peace during this time. Jim & I send our most loving thoughts and sympathies to Don and Janet & the rest of the Ohms family at this time of loss. Peace and comfort reign over all family & their friends. We will miss you Don. We always enjoyed having lunch with you and Jean. The conversations, laughs we shared will never be forgotten. I am sure the family were there to greet you. Walk with Jesus for I believe he has made your legs strong again. Love you always. Don will always be remembered by me as “Mr. O”. I’m not sure how that started, but when we were kids, we’d see him walking up the street after parking his rig after a week of driving, and we’d all greet him “Hello Mr. O!!”. An awesome man who raised an awesome family!! My prayers are with Jean, Mark, Donnie and the rest of your family as you go through your loss. May God be with you and bless you all. Jeanie & all, you have my deepest sympathy for your loss. While viewing the video with all the pictures there were memories of happier times with familiar faces . Knowing that Don is safe in God’s arms along with his many friends and relatives who proceeded him; we take comfort knowing he now has no pain and when it is our time we will see him again. God’s peace and blessings be with all the family in your time of sorrow. I have many wonderful memories of visiting Don and Jean when I was a young lady. They both were so loving and wonderful to me. I am praying for the Ohms family!